Explanation: The striking X appearing in this lunarscape is easily visible in binoculars or a small telescope. Yet, not too many have seen it. The catch is this lunar X is fleeting, only apparent in the hours before the Moon's first quarter phase. 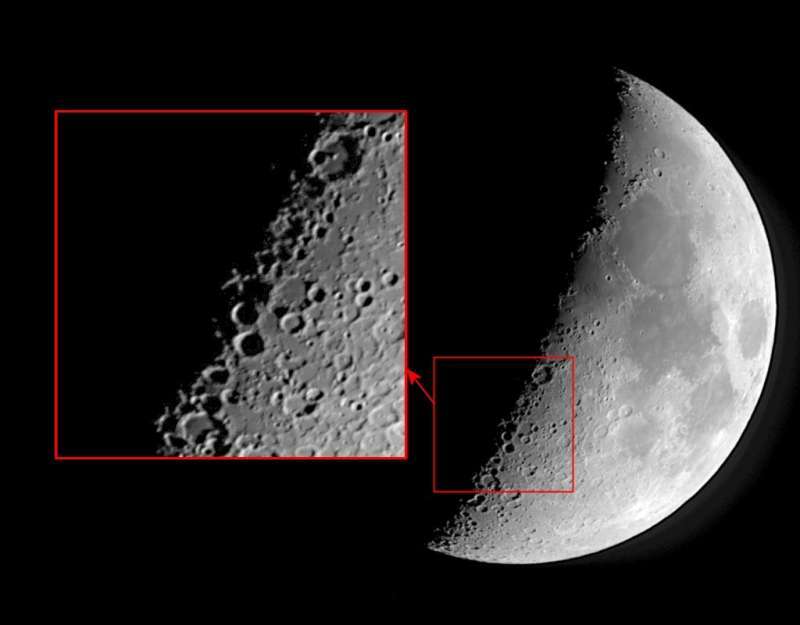 At the terminator, or shadow line between lunar day and night, the X illusion is produced by a configuration of the craters Blanchinus, La Caille and Purbach. Near the Moon's first quarter phase, an astronaut standing close to the craters' position would see the slowly rising Sun very near the horizon. Temporarily, the crater walls would be in sunlight while the crater floors were still in darkness. Seen from planet Earth, contrasting sections of bright walls against the dark floors by chance look remarkably like an X. This sharp image of the Lunar X was captured at approximately 16:45 UT on December 6, 2016. For extra credit, sweep your gaze along the lunar terminator and you can also spot the Lunar V.